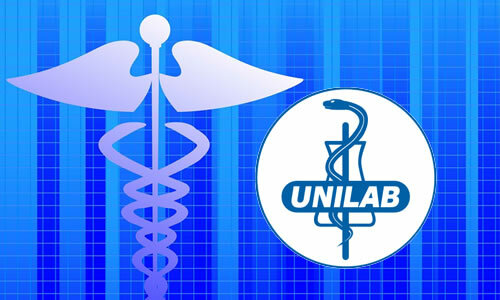 The information below contains the list of all the Unilab products or medicine that you can use or take in case of "Gut (Stomach) Health". Please refer to the list below for more details. Diatabs Capsule This medicine is used for the following conditions: Control and symptomatic relief of: Acute non-specific diarrhea, and Chronic diarrhea associated with inflammatory bowel disease. Reduction of number of volume of discharge in patients with ileostomies and colostomies. In addition to using loperamide for diarrhea, it is important that you replace the fluid and salt loss with the use of oral rehydration solutions (ORS) and/or by drinking plenty of fluids. Enzyplex Caplet Enzyplex is a digestive enzyme supplement that aids in proper digestion and helps ensure optimal nutrient absorption. Hydrite Powder for Suspension (Oral Drops), Powder for Suspension, Capsule This medicine is used in the treatment of children and adults with dehydration due to diarrhea (except those with severe dehydration). This medicine replaces fluid and electrolytes (body salts) lost due to diarrhea and/or vomiting. Kremil-S Chewable Tablet For the symptomatic relief of hyperacidity associated with peptic ulcer, gastritis, esophagitis, and dyspepsia. As an antiflatulent to alleviate the symptoms of gassiness, including postoperative gas pain, associated with hyperacidity. As adjunct to H2-blockers or proton pump inhibitors for the rapid relief of ulcer symptoms. Kremil-S Advance Chewable Tablet This medicine is used for the relief of heartburn associated with acid indigestion and hyperacidity. Omepron Capsule This medicine contains omeprazole which works by decreasing the amount of acid produced in the stomach. Omeprazole is used for the short-term treatment and symptomatic relief of heartburn that occurs two or more days per week (frequent heartburn). Supracid and Supracid Extra Strength Tablet This medicine is used for the relief of hyperacidity, dyspepsia and heartburn.